What a weekend! 44 lessons delivered, 21 hours taught, 24 people for dinner on Saturday evening, 5 bottles of Veuve Cliquot consumed and only 4 people hit the deck! 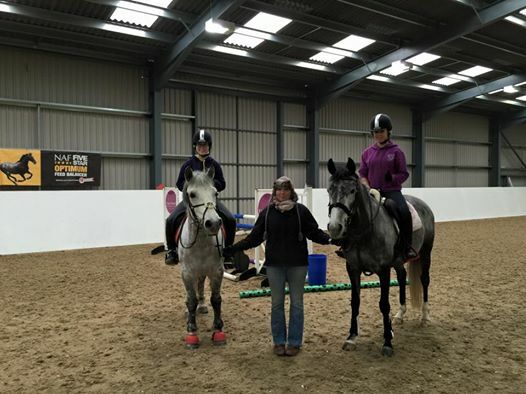 The feedback from the clinic held on the 14th – 15th of February has been overwhelmingly positive! Phoebe has a knack of ‘getting’ horses and riders very quickly and instinctively knowing how to get the best out of them. Every lesson I watched was delivered with enthusiasm, fun and professionalism, interspersed with some of Phoebe’s classic anecdotes. Phoebe taught flatwork until 4pm on Saturday then it was jumping all the way. 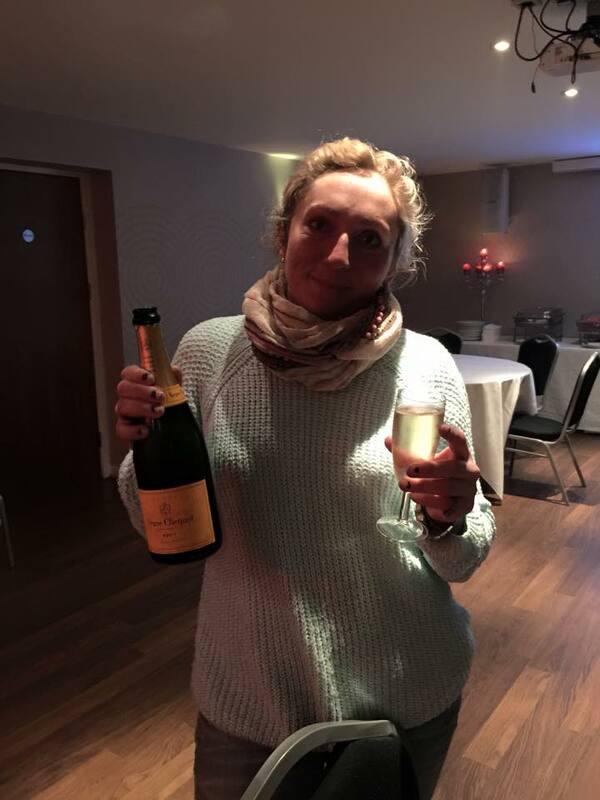 On Saturday evening we headed off to the Bieldside Inn where we had a bite to eat and a few bottles of nice champage whilst Phoebe did an excellent Q&A session – some brilliant questions and some even better answers! Here are a few happy customers! Findlay and Lewis were all smiles after their session! Catriona and Laila both rode very well and went away with a lot to think about. Ria and Kara happy after their session. I think Phoebe quite fancies a shot on Ria’s lovely coloured mare next time! 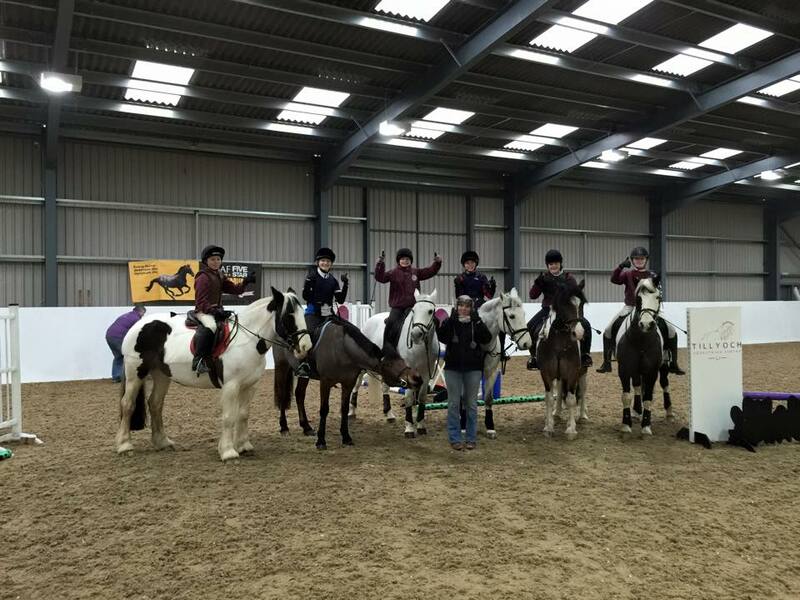 We subsidised a group lesson for Deeside Pony Club – I think the thumbs up says it all! A well deserved glass (or 3!) of bubbles for Miss Buckley on Saturday evening! Phoebe has very kindly agreed to fly back up on the 20th of March to deliver a lecture demonstration on the Friday night followed by SJ training on Saturday and some simulated XC training on Sunday, again at Tillyoch. We can’t wait! 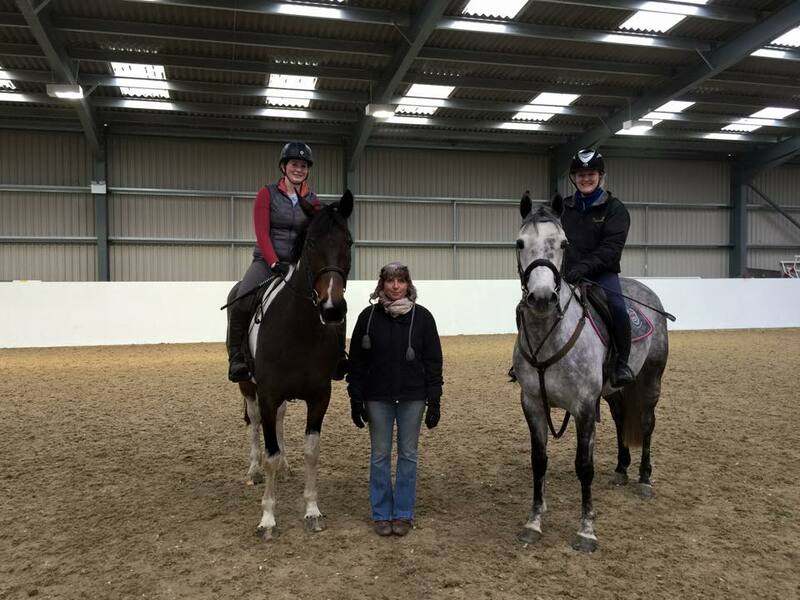 Phoebe Buckley Clinic – Sold Out! This coming weekend sees us running a clinic with Phoebe Buckley at Tillyoch over two days. The response has been phenomenal and both days are (more than) sold out! Phoebe will be teaching for well over 20 hours over the two days. I did warn her when I booked her that I’d make her earn her fee! 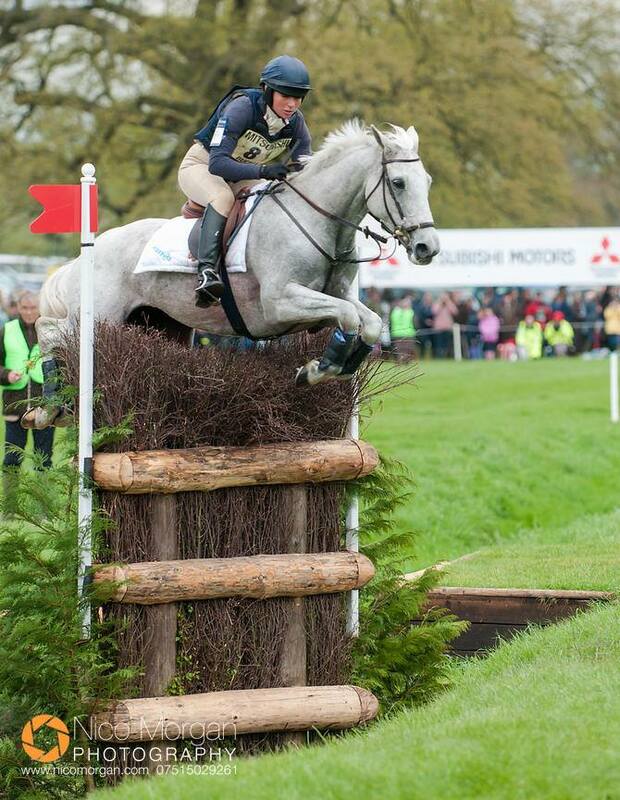 Those of you that aren’t familiar with Phoebe can have a quick look on her blog here, but suffice to say that she’s been round Badminton and Burghley 11 times (9 of them on the 14.2hh grey legend Little Tiger), won the CCI*** at Bramham and a Young Rider european gold! She’s also quite well know for her ‘straight shooting’ on social media – you can follow her on Twitter here and Facebook here. Phoebe will be coaching from 8am until approximately 7:30pm both days and spectators are welcome at no charge. Flatwork on Saturday until 4pm then jumping thereafter and jumping all day Sunday. More Cancelled Shows, and Izzy’s Op. The weather is still conspiring against us! On Saturday, we had to head to Aboyne to pick Izzy up from Dukes Vets where she had had a little bit of work done on her teeth. 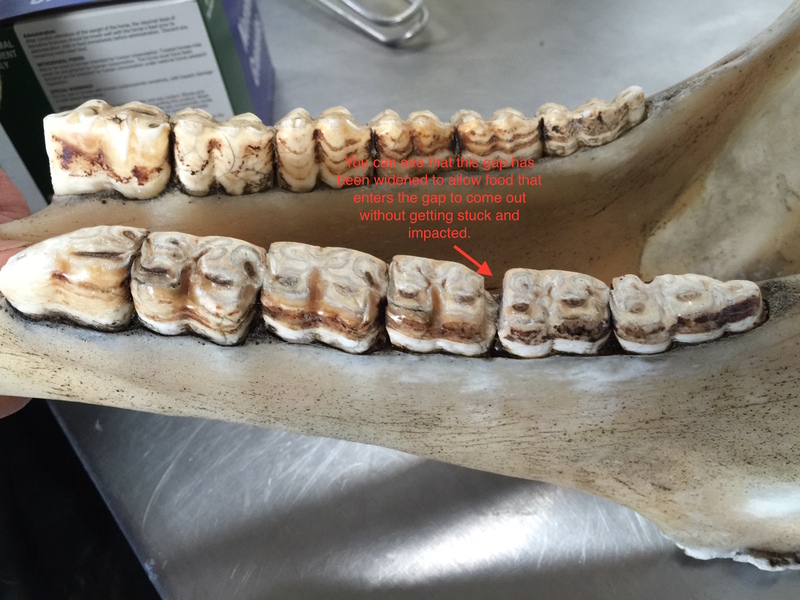 Basically, she has Diastemas which is a space between her teeth – these are causing a problem because food is getting trapped in the gaps and is becoming impacted causing her a lot of pain and discomfort. In the photo below, you can see what Jim has done using his power-tools. She had 5 gaps opened up to allow food to come back out without getting stuck. Don’t worry, this is one that died earlier! We had the choice of two shows on Sunday; unafilliated SJ at Tillyoch and an Arena Event at Cabin. We had already decided on Saturday that we would go to Tillyoch as it’s only a couple of miles along the road and the forecast wasn’t great. Alas, at 8:30 on Sunday morning it was cancelled due to a police travel warning on the A90. I called Michael to check there was a course up and there was so we loaded a few ponies and took them over for a school round, braving the roads which weren’t too bad (see video). 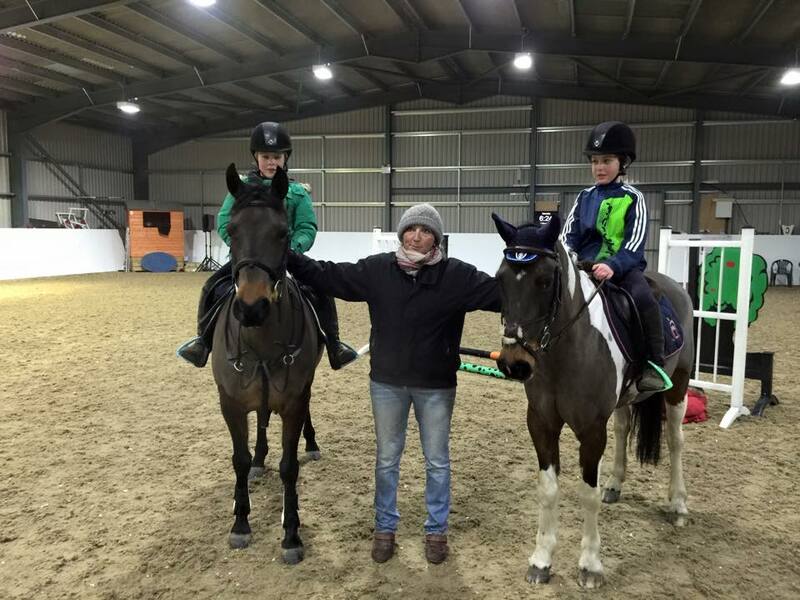 As well as taking little Ollie (the wee grey 128 that we bought at Cavan sales in Ireland) we took Dakota for Millie to play with, and we also took Hannah with Piglet, Lucy with Storm and Ellis with Cruise – they all jumped round various heights of tracks and performed brilliantly. Lewis stole a shot on Dakota at the end and I think he’s fallen a little bit in love with her! Supplements – This One Works! I thought I’d just post a wee note about the supplement we use for the jumping ponies. I went to Warwickshire College a few hundred years ago, and one of the people I met (and made good friends with) whilst there was a chap called Alex Gingell. Alex was always destined to be successful as he is great with people and has an amazing positive mental attitude. I got back in touch with Alex a few years ago – he’d just launched a supplement company called Hack Up and persuaded me to try a product called Boost on an old Grade A mare of mine which was lacking a bit of sparkle. What a difference it made! She was like a 4yo, having a wee buck and squeal in the practice ring and jumping better than ever! Boost isn’t Alex’s main product though – he specialises in ‘bespoke’ supplements, designed and blended specifically for your horse using top quality, human grade ingredients. They can help digestion, joints, pain – have a look at his website in the link above for more info. Our ponies are on one of Alex’s joint bespokes, and they look great, feel great and jump great! Maddie (Findlay’s pony), is 13yo and is quite high mileage and is out jumping round 1m tracks like they aren’t there (as you can see in the video below!). Hack Up even lets you spread your payment at no extra cost, and if you spend £100 in one order you currently get a free Hack Up jacket – I can testify that these are nice and cosy! Register on the website, enter your details and let Alex create a free formulation for your horse on pony – you know it makes sense! Mention me (David Lawson), and I might even get another free jacket!!! Click here to follow us on Twitter and receive updates. The ice is fairly taking its toll up here in Aberdeen. The Pony Club rally at Tillyoch was cancelled, along with the Findon Riding Club show at Fountain Equestrian tomorrow and the two day BS show at Cabin. 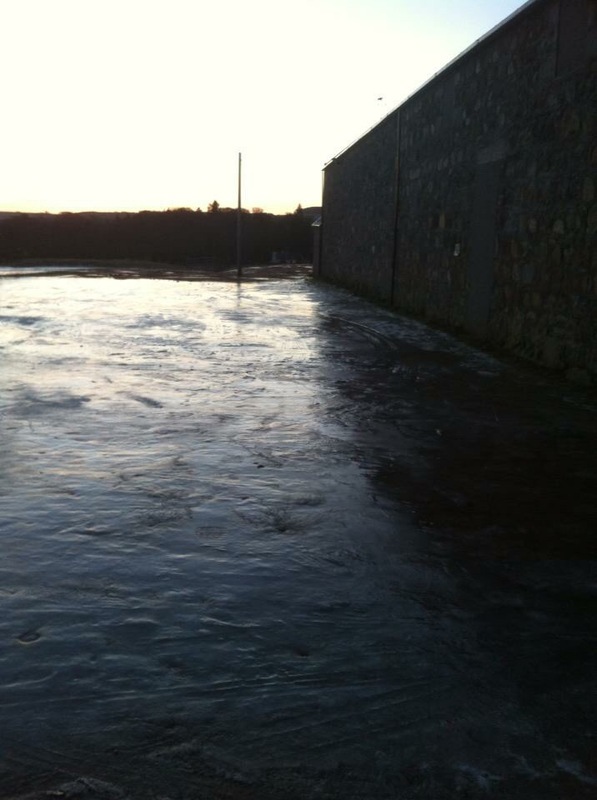 Here’s a pic of the car park at Oldfold – hopefully this will be melted by next weekend! So this weekend sees us back at Tillyoch on Saturday – although not for the usual showjumping! Fin, Lewie and Millie have their first Pony Club rally. We feel that it’s important that they have a well rounded equine education, so we joined them to my old PC, Deeside. It’s a flatwork rally which should please Millie, the boys not so much! 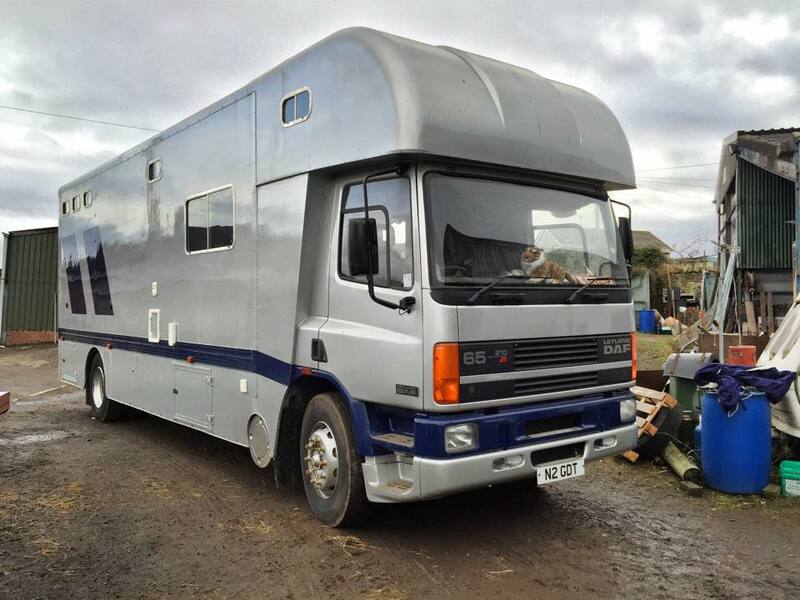 A couple of months ago we sold the wee 3.5T lorry and bought a 17T wagon – this makes a huge difference as the kids can stay in the warmth and watch DVDs etc when we’re away at shows; we never see Harry these days at a show! There’s a two day BS show on at the Cabin Equestrian Centre this weekend, so if the ice has disappeared by Sunday I might take Willow over for a jump round the Discovery and Newcomers. I’ll update after the weekend – have a good one!